Grab the EZ-bar with the shoulder-width grip. Palms are facing downwards. Rest your elbows against the pad and straighten your arms. This will be your starting position. 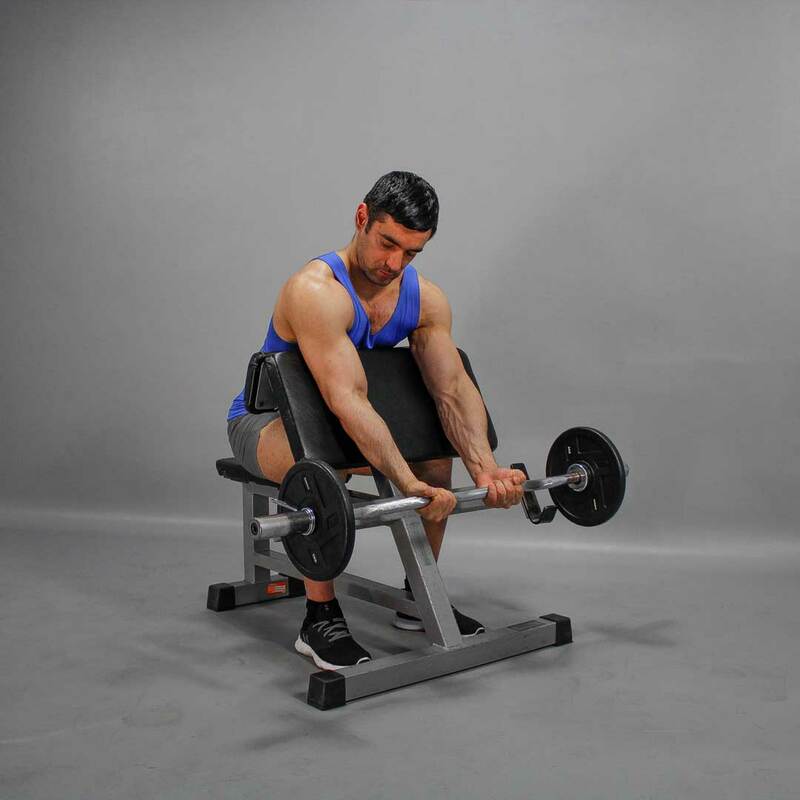 Exhaling, use the biceps to curl the weight up moving the barbell at shoulder level. Make a brief pause as you squeeze your muscles. Inhaling, slowly lower the barbell by extending your arms until you feel the biceps stretching.